Kenya is lurching deeper into a political crisis as a court ruling and parliamentary vote appear to ease Uhuru Kenyatta’s path to a second term as president. The news comes a day after his rival quit the election they were about to contest. Kenyatta and Raila Odinga were due to face off in a repeat election on October 26. A ballot in August – in which Kenyatta was declared the winner – was annulled by the Supreme Court due to irregularities. However, Odinga pulled out of the re-run on Tuesday, fuelling doubts about whether it would be contested at all. Justifying his pullout on Tuesday, Odinga said the election would not be free and fair and renewed calls for the electoral board (IEBC) to be replaced. He blamed them for the procedural irregularities identified in the first ballot. Interventions on Wednesday by the judiciary and legislature added to the uncertainty. The High Court has approved a petition by Ekuru Aukot to contest the second ballot. He polled less than one percent in the August vote. Aukot has yet to announce if he will definitely run. Parliament has also passed an election law amendment, stating that if one candidate withdrew from the re-run election, the remaining one would automatically win. It would mean Kenyatta could be declared president if he faced no challengers. Are there concerns about unrest? Yes. The latest events have stoked confusion among voters and fears that politically-driven violence might escalate. Months of political uncertainty have already blunted growth in East Africa’s richest nation, a long-time ally of the West. Opposition supporters have renewed their protests for electoral reform. Demonstrators lit bonfires in Kisumu, an Odinga stronghold in the country’s west. More than a thousand supporters marched through the central business district in the capital, Nairobi. Witnesses say police used teargas to disperse them in both cities. 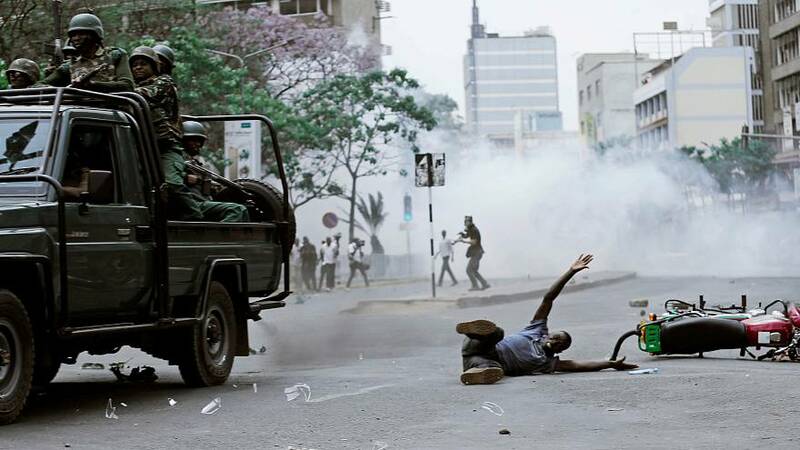 At least 37 people were killed in protests immediately following the August vote. However, analysts say a repeat of the widespread ethnic clashes that killed 1,200 people following a disputed presidential poll in 2007 appears unlikely at this stage. “There’s a real atmosphere of confusion and uncertainty. There seems to be dozens of opinions of what should come next,” – Murithi Mutiga, senior Horn of Africa analyst for the International Crisis Group. “We want a reformed IEBC,” – Elisha Odhiambo, an opposition legislator.